Retired U.S. Army Capt. Ken Kraft announced right away he'd be running in the Republican primary to replace State Rep. Bill Kennemer (R-Canby). 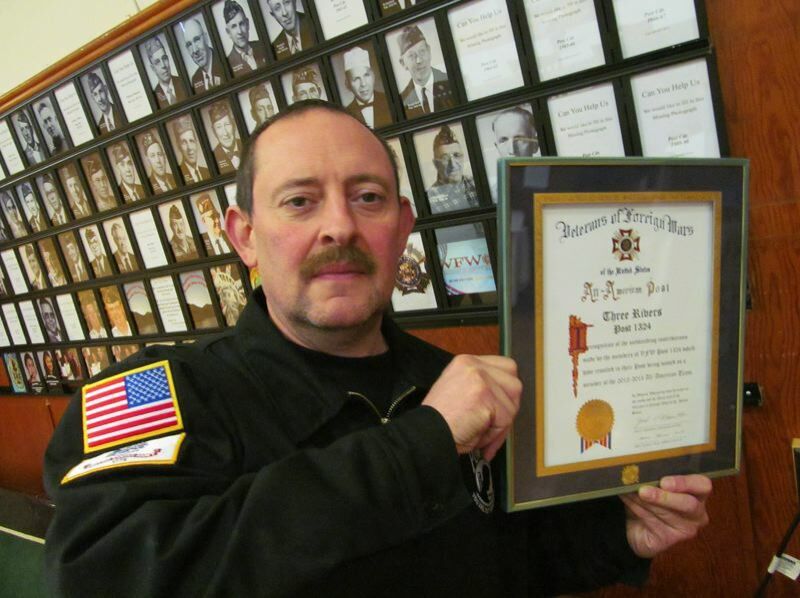 Kraft is a lifetime member of the Veterans of Foreign Wars, where he is Western Conference chairman and Department of Oregon commander, the VFW's highest state leadership post. He has also served as chair of the Clackamas County Veterans Advisory Committee. On Jan. 24, the day after Kennemer told the public he plans to retire at the end of his term, Kraft sent out a press release about his plans to run for the seat. As a post-9/11 Iraq combat veteran, Kraft said he understands first-hand the hardships many Oregon veterans have experienced when they come home from deployments. "I want to say a huge thank you to Representative Bill Kennemer and his wife, Cherie, for giving their lives in service to Oregon," Kraft said. "There's no replacing Bill in Salem, but if I'm chosen to serve this community, I'll work hard to make sure the people of District 39 are cared for in the way the Kennemers have done for years." Kraft, a resident of the Redland area east of Oregon City, helped rally for Measure 96, which passed in 2016 with 84 percent of voters statewide calling for 1.5 percent of Oregon Lottery funding for veterans services. Kraft's anger over Gov. Kate Brown's preliminary 2017 budget shorting veterans' funding by $10 million was one of the reasons he is stepping up to run for District 39. He said that voters intended more total funding for veterans services, and sees the Oregon Legislature's decision to provide less funding from non-lottery sources as a failure to fully fund Measure 96. "It didn't even take one term for politicians to break their promise to Oregon veterans," Kraft said. "We need more lawmakers who are willing to defend voter-approved funding for veterans just as we have defended their freedoms through the course of our military service." Kraft is also a retired senior correctional deputy from Multnomah County. As a disabled combat veteran and amputee, Kraft has had more than 40 surgeries related to his service injuries. "For many Oregonians, not just veterans, access to reliable and affordable healthcare is going to be a top priority for me," Kraft said. "People in all parts of the state need to be able to depend on the ability to see a doctor or a nurse, to get the care they need, particularly in the rural parts of our state. Kraft, a father and a grandfather, works with a variety of local charities including Gleaners, a nonprofit which gathers food for low-income families and seniors. He is the founder of the local Homeless Veterans Survival Bag Program to deliver duffel bags with clothes and hygiene supplies to veterans living on the street. "My career has been dedicated to serving our country, our state and our local community," Kraft said. "Running for the legislature is one more way to serve Oregonians and the people of District 39. My goal will be to make sure we have a community where people can live, work and raise their families with service and support upon which they can depend."